Nova Scotia Liberal leader Stephen McNeil announced on September 10 that students receiving student loans in Nova Scotia to complete post-secondary education should not be charged interest on their government debt. “Nova Scotians that require student loan assistance to pursue higher education are then faced with major financial stress afterwards—a new Liberal government would invest directly in students as we believe education is the best investment we can make for the future of Nova Scotia,” said McNeil, in a news release. “With average tuition in this province costing nearly $6,000 a semester, any relief is helpful,” said VP A&E (academic and external) Aaron Beale. Later on that week, McNeil announced improved funding for graduate scholarships towards research and development. “Research and development is a vital component to growing a modern and sustainable economy,” explained McNeil. The Nova Scotia Research and Innovation scholarships are aimed at funding innovative research and increasing research capacity. The graduate scholarships would be awarded to approximately 300 graduate-level students annually in amounts ranging from $10,000 and $15,000. Nova Scotia NDP leader Premier Darrell Dexter announced a “Graduate Home Ownership Assistance Program” that would help graduates buy their first home. “The NDP will provide more flexible down payment options allowing new graduates and young people to buy a home earlier and plan for their future sooner,” said Dexter. The program would be rolled out in 2014, addressing the need presented by over 13,000 Nova Scotia students graduating each year, according to the website. There were few details beyond that, which concerned Students NS in regards to resources available for the incentive. “Student debt forces many graduates to delay purchasing a home, because they cannot scrape together the money for a down-payment,” said Williams. Dexter also announced that the NDP would continue to increase the minimum wage, which it says it has done four times since 2009. 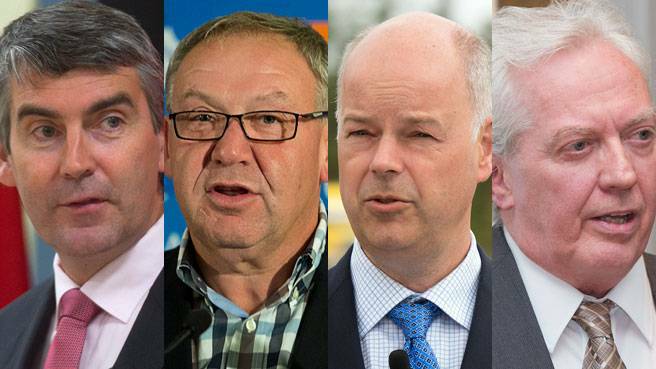 Nova Scotia PC party has been busy, making campaign promises and decrying their rivals as much as their opponents have opposed them, but have made no substantial promises directly to students.